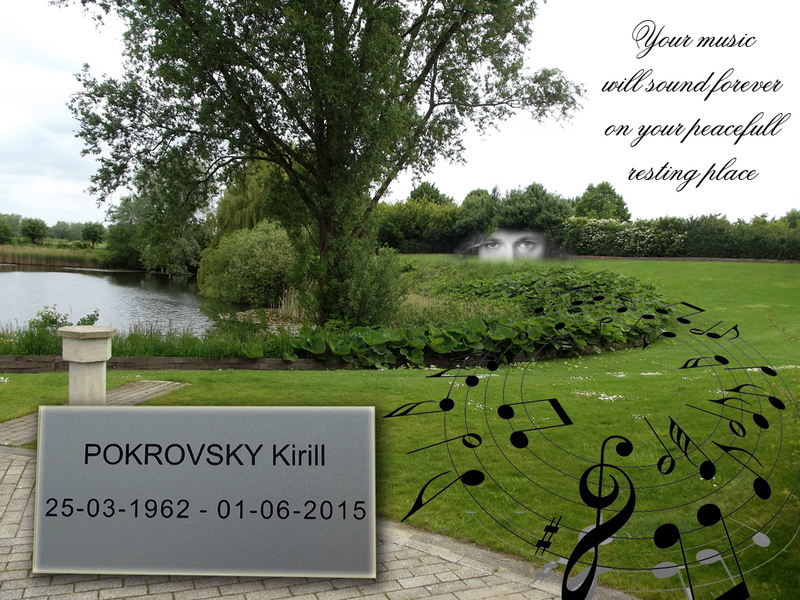 Today it's exactly one year our dear friend Kirill left us. The whole week we light some candles next to his pictures and try to get close to him as possible. Kirill rest on "strooiweide A". The picture below was taken last tuesday, june 24th. This will stream all the music from the download area in shuffle mode, so in random order. 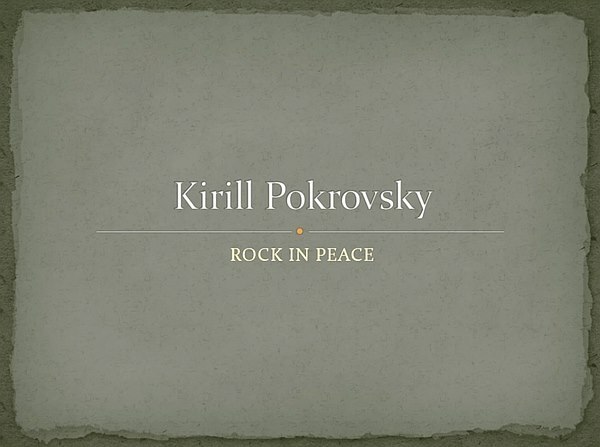 During the funeral of our beloved friend Kirill there was an audio-visual montage. 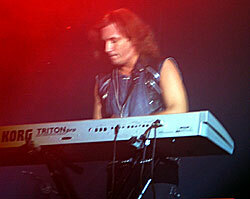 Pictures of Kirill were shown and his compositions & performances were played. Between 70 and 80 people took part of this funeral and memorial ceremony. This montage was made by the people from Larian studios and Ilya Rogozin. Thanks to Alexander Stiehl, a big fan from Germany, we are able to put the montage online. The Soundtrack Kirill composed for the Larian Studios game "Divinity Original Sin"
The Soundtrack Kirill composed for the Larian Studios game "Divinity Dragon Commander"
This is the concert that Kirill gave during a live(stream) performance, with new HD footage edited in. they did say I think at some point that? Kirill was going to perform music from Original Sin. Divinity: Original Sin comes to KickStarter! Here's why. We are nearing the end of our development cycle. What we have so far, is the best RPG Larian Studios has ever created. But, we also have the feeling that our job isn't done yet. The systems that are now in place, have a lot potential and because it took us quite some time to create them, we haven't been able to use them to their fullest yet. That's why we're looking to increase the size of our development team. And because our budget is finite, we decided to come to Kickstarter to ask for your help. 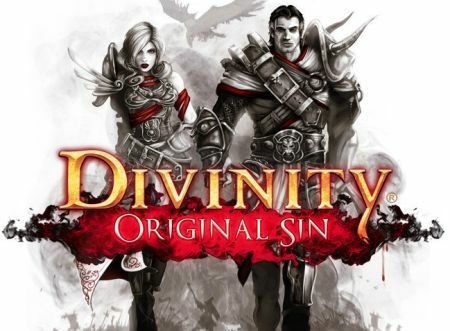 ---> Visit Larian Studios and find out more about "Divinity Original Sin"
Enjoy this tracks and please feel free to put your comments in the guestbook. 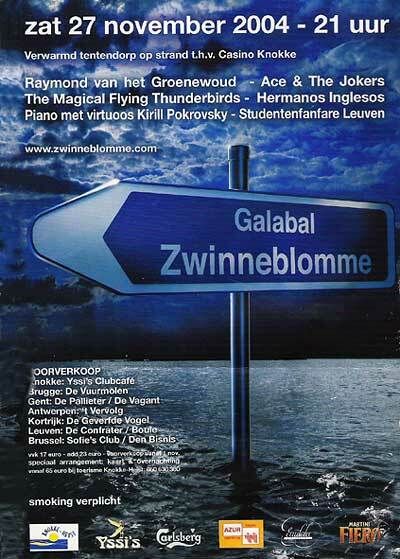 8 july 2010 : NEW MIRROR SITE in Nederlands from "Round Window Studios"
Enjoy this tracks and please feel free to put your comments in the guestbook. Some of these tracks are also on Youtube. Search for Kirill Pokrovsky to discover them. 2 April 2007 : MP3 downloads and videoclip are now only available through Rapidshare. The fans downloaded so much files and the traffic costs were getting too expensive for Kirill. Normally fans pay to get their Idols music. In this case Kirill payed huge bills to give free music to his fans. Thanks to Rapidshare it's still free for the fans and it's now free for Kirill as well. 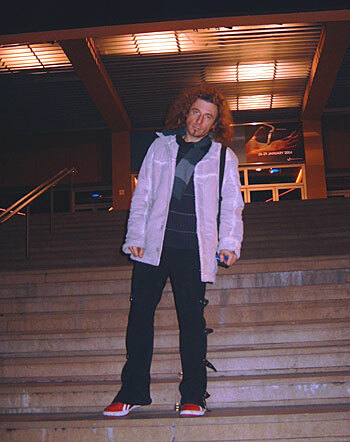 October 2005 : Kirill again visited his home city of Moskow. Should we call it the third rome or a new Babylon? The megapolis of 20.000.000 people amazed and inspired him by its vitality and changes that happened so quickly. 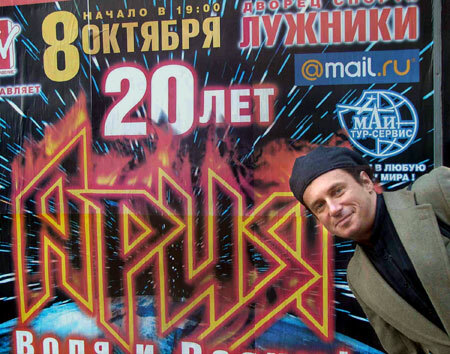 As one of the foundators of Aria Kirill was invited for the celebration of this Russian megapopular metal band. Aria is still performing and attracts millions of of fans (already 3th generation). The very first 2 albums and the original Megalomania are still considered to be very unique and valued as very special. 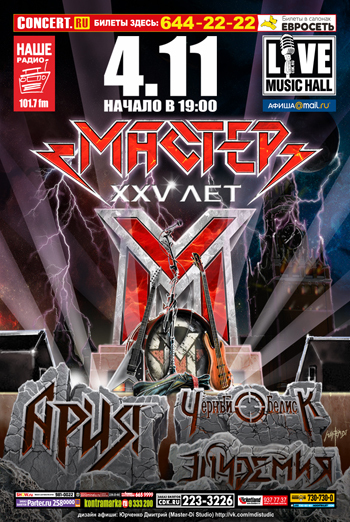 The audience of 12.000 people filled the Luzniki Stadion in Moskou and burst in applause when Kirill came on stage to perform his famous Megalomania that became throuly the Aria Anthem. 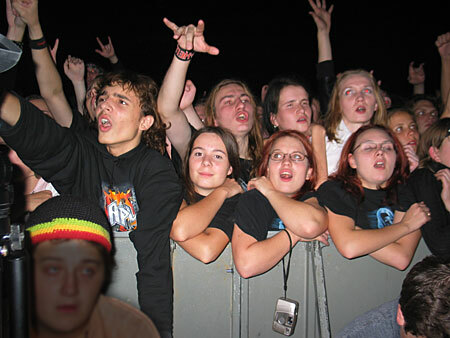 The complete audience was singing along when Kirill joyfully played it on the Korg Trinity. The bigest North American website - deducated to video games, music and another form of intertaiment and show biz - IGN.com has more than 20 million unique visitors a month, and more than 200,000 active monthly and annual subscribers. 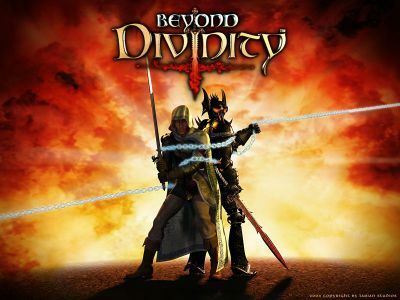 Year of 2004 "outstanding achivement in music" from Rpg vault is granted to Kirill for his score to Larian studios Beyond Divinity. "Kirill Pokrovsky demonstrated his talent and sensitivity by creating a score for Beyond Divinity that may well be its defining strength. 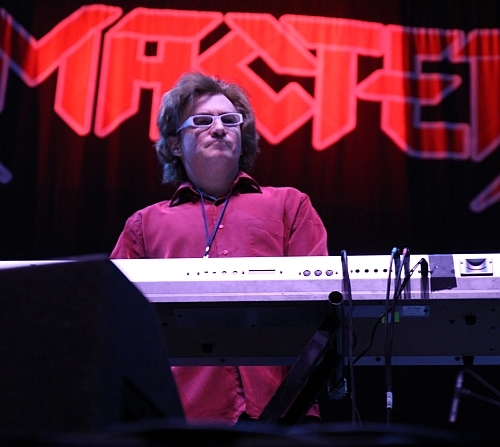 The individual tracks not only succeed in capturing and conveying a variety of moods to suit the game's range of situations, but also come together to form a unified and eminently enjoyable whole that played a critically important role in Larian's intriguing tale of a character soul forged to a Death Knight". 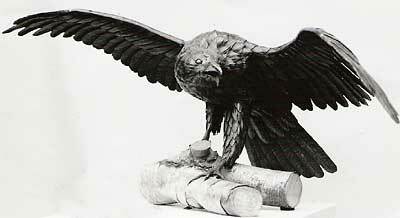 After the piano concert in the city hall of Melle the artist Roger Bockstaele dedicated a metal sculpture to Kirill's composition "Flight of the Eagle". 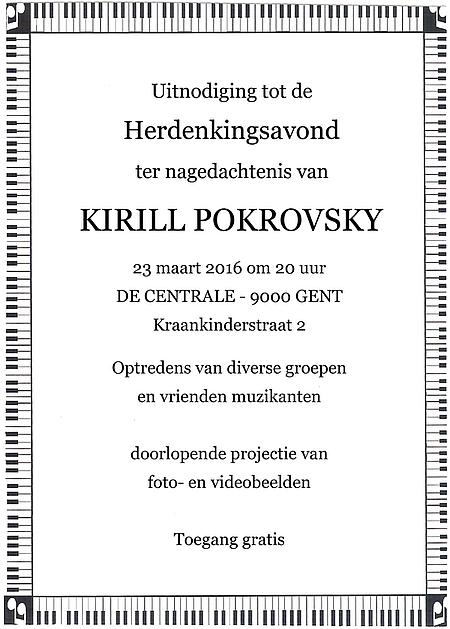 5 years already Kirill has been invited to open the probably most prestigeous Gala Ball for young people in Knokke Belgium. 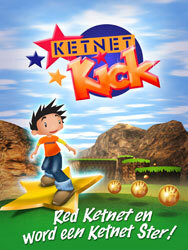 Kirill participated in a multimedia project Kick for the popular children's channel Ketnet. Among other amusing things the kids can create their own songs in different styles from heavy rock to scate punk and hip-hop with music fragments composed by Kirill Pokrovsky. Kirill attempted to Midem - international exhibition of recording industry, both pop and classic conferences in Cannes, South of France. As a part of SABAM (Belgian authors rights association) delegation and a participant of Vadim Piankovs "Baggy Publishers". Kirill strongly believes that instead of trying to control the exchange and flow of intellectual property the industry should adapt to new technologies and support them. The similar situation already happened when audio cassettes and VHS tapes were introduced. After all when big profits are not an issue anymore only real music lovers and enthousiasts will stay in industry. 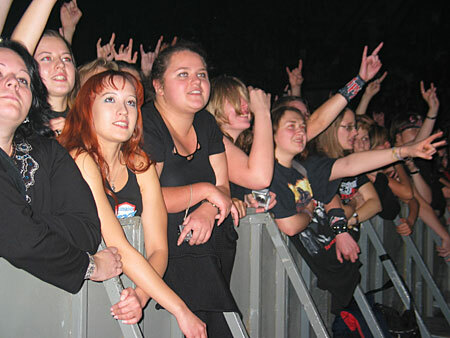 Artists will become more independent and responsible for there own concert carrier. Nicely edited CD-DVD with a booklet and artistic signature will be always an a desirable collectors item especially sold on the concerts. If the price of other products will be only slightly higher them the blank media - it will always sell for timesaving and quality reasons. After all even if data transfer will be somehow controlled (that is completely impossible) there are digital radio and tv channels from which music can be easily recorded, collected on HD and stored on CD or dvd, so the whole story comes not to downloading of mp3 but to introduction of recordable digital media as C.D. writers for PC that ironically were pioneered by Phillips and Sony. 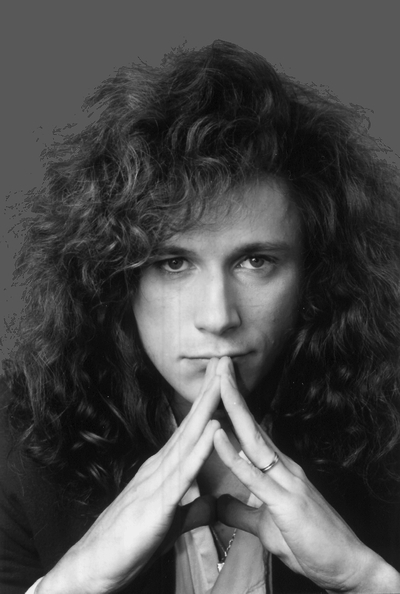 And finally there is big amount of people who has nothing to do with computers (unlike the teenagers to who the recording market was legally deducted) or will not spend time to copy or download and plenty of customer with somer money to spend for collector items or gifts. The industry should not try to stop the changes but adapt to it. Question of GGMania: The music in Divine Divinity was hands-down one of the best in RPGs. Can we expect Beyond Divinity music to be of the same quality? Answer from Swen Vincke (Larian Studios): Yes - Kirill Pokrovsky - who won so many awards with the music for Divine Divinity - will be doing the orchestral score again. 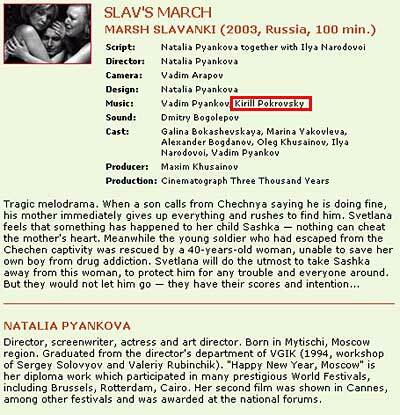 Tragic melodrama: When a son calls his mother in Moscow from Chechnya and says that he is doing fine, she gives up everything and goes to find him. 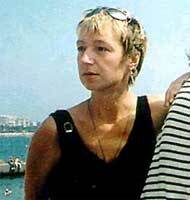 Svetlana feels that soothing is wrong with her son Sashka, you can never cheat the heart of a mother. Meanwhile the young soldier who had escaped from the Chechen captivity was rescued by a 40-years-old woman, who couldn’t save her own child from drugs. Svetlana will do anything to hide her Sashka from this woman, someone else’s trouble and everyone who is around him. But they are not let him go, they have their own dreams.